I don't really write a lot about haircare on my blog so I thought i'd share my two favourite products at the minute. 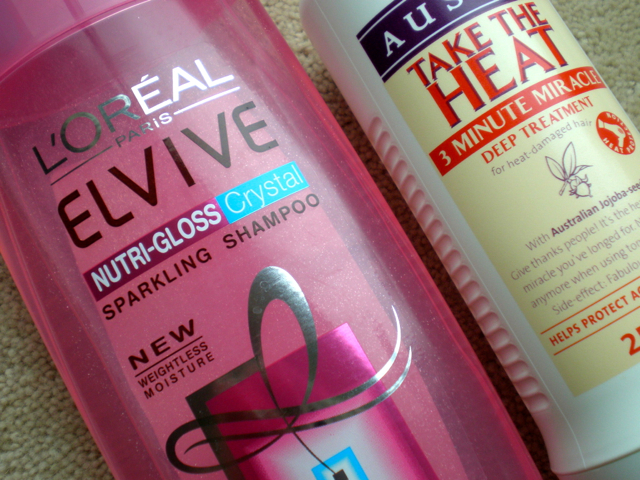 I'm using the Loreal Elvive Sparkling Shampoo and Aussie's Take The Heat 3 Minute Miracle and I really love what they do for my hair. 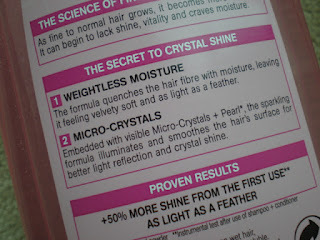 I bought the Loreal Sparkling Shampoo as it was on offer and I loved the fact it had glitter in it. Obviously when you wash your hair you don't end up with bits of glitter in it but I think its a nice idea and i've noticed that my hair does look really shiny anyway. Before I started using this I was using a different shampoo and I found that my hair got greasy a lot quicker which is why i'm enjoying using this so much. 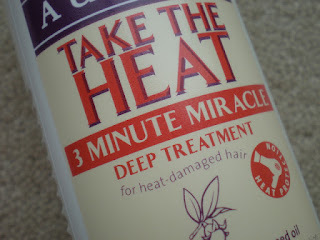 I've mentioned the Aussie 3 Minute Miracle on my blog before and its probably one of the only hair products that i'll continue to repurchase as I normally like a change. I use this once or twice a week or whenever I think my hair needs it but I always notice a difference in comparison to using normal conditioner.